Originally from Youngstown, OH, Emil Skocik, 88, didn’t have a single qualm about being the very first patient for surgery at Bethesda Hospital West on January 8. 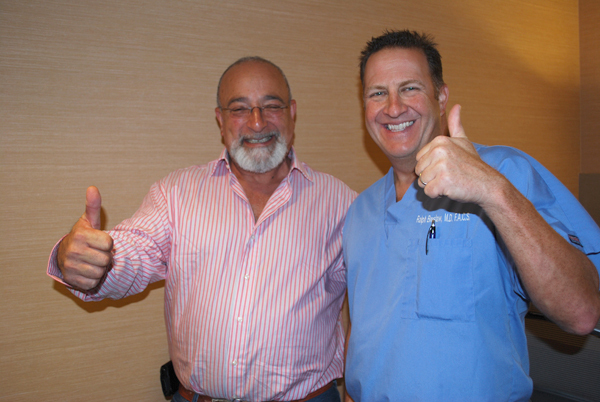 That’s because this surgery would be Emil’s third with George Mueller, M.D., one of South Florida’s most renowned general and vascular surgeons. With no complications, Emil returned home the same day to enjoy a game of “Hand and Foot” with his wife Eileen of 65 years. Three months later, Emil says he feels better than ever. Having relocated from New York 3-1/2 years ago, Ira Kirsh, 53, discovered he needed hernia repair surgery after a day of fishing. Ralph Breslaw, M.D., Chief of Bethesda’s 600-member Medical Staff, said Ira would be the perfect candidate for surgery at Bethesda Hospital West because it was near his home in Cascade Lakes. Ira’s surgery was a success and he was back fishing the next day. 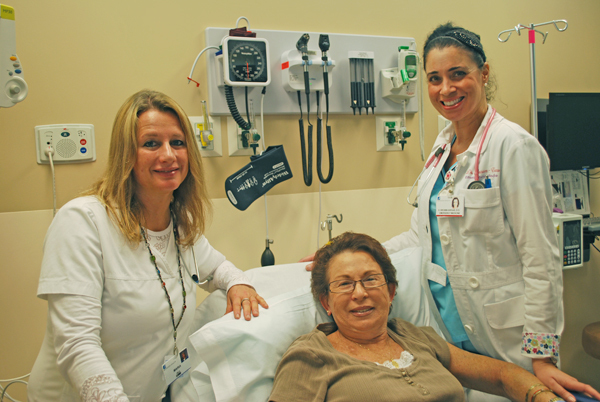 As the first emergency medical transport patient to arrive at Bethesda Hospital West, Arline Gershberg enjoyed several “firsts” on its inaugural day. This avid walker was rear-ended in a motor vehicle accident as she was leaving her development. Arline was whisked to the ER’s adjacent imaging department, where she received the first X-ray and CT-scan. Thankfully, Arline’s injuries were not serious and she was able to go home in less than two hours. Eight-year old Jade Austin woke up with a terrible tummy ache that made her Bethesda Hospital West’s first pediatric emergency patient on the morning of Jan. 8, 2013. Her parents Burola and Kenny Austin said they were immediately relieved that they could bring their daughter to Bethesda Hospital West’s 24-hour Children’s Emergency Department. 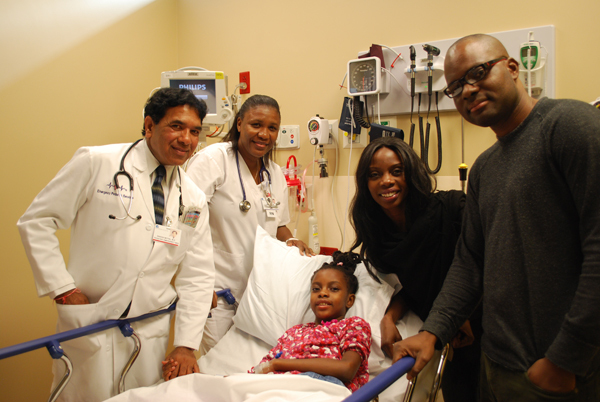 The pediatric emergency team helped Jade feel better in no time! 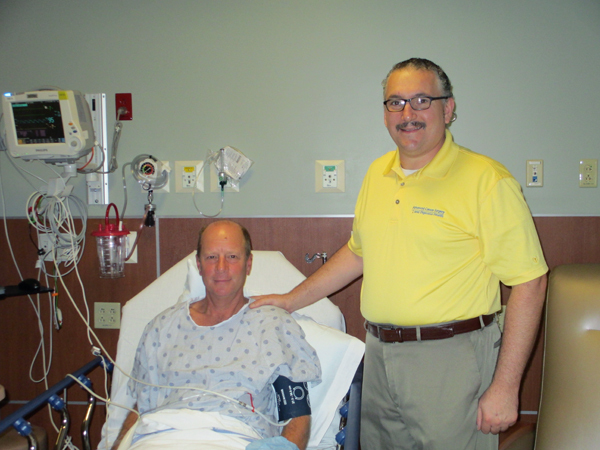 Golfer Ben Court only missed a day of golf, as the first endoscopy patient at Bethesda Hospital West on January 8. 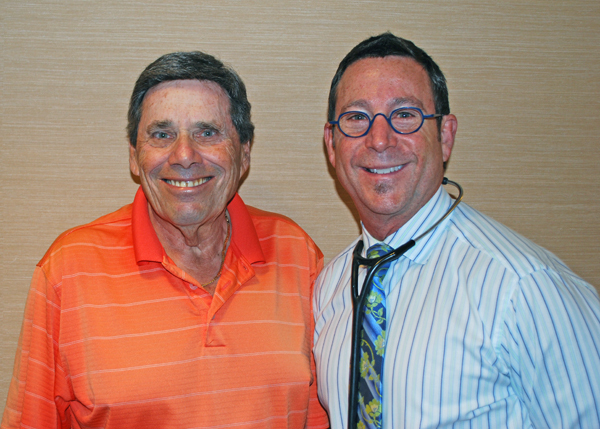 As a patient of gastroenterologist David Hellman, D.O., Ben said he was glad that the western communities now have a hospital to call their own. 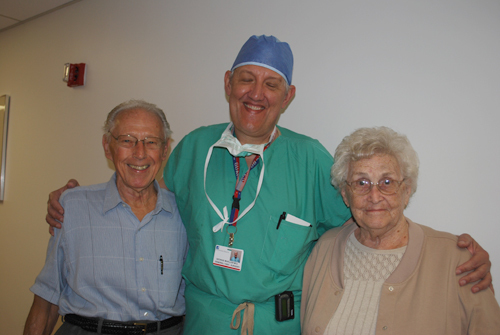 Orthopaedic surgeon Elvis Grandic, M.D., is proud that Gerald Bank was his first total knee replacement surgical patient at Bethesda Hospital West. 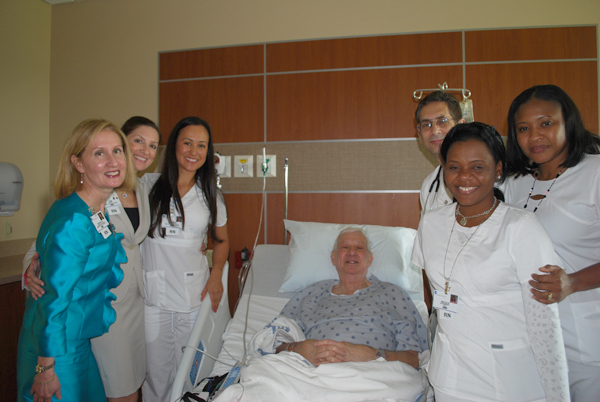 “With state-of-the-art operating room suites, everything I needed was right here to give Mr. Bank the best care possible,” said Dr. Grandic. Gerald was up and walking less than 24 hours after surgery. Cyrus Van-Sant was amazed at the view of the scenic fields that he had from his private room after hernia repair surgery with Matthew D’Alessio, M.D. “It feels more like a hotel here, I really don’t feel like I’m in a hospital at all,” said Van-Sant. Dr. D’Alessio said Cyrus’s surgery went very well, thanks to the caring compassionate staff and the serene healing environment.